A lot of women experience deteriorating bone health. In fact, there are a number of women in their late 20s that have shown signs of osteoarthritis and weak bones. It is caused due to poor diet, less exposure to the sun, and several other reasons. All of this can lead to serious health issues, such as chronic pain, loss of proper functioning, or it can also lead to serious physical damage to your body. In addition to that, you will have to spend a lot of money to pay your hospital bills. Not only is it exhausting to deal with such issues, but also expensive. Different pharmaceutical treatments have been used to resolve this increasing health issue, yet, they have not been considered safe nor were they able to provide satisfactory results. However, despite not proven to be effective, these drugs are widely prescribed by a physician. Whenever you go to a doctor with bone related issues, first advise you get is to get plenty of calcium, which can be consumed through various sources, including dairy, seafood, legumes, leafy greens, etc. Although, calcium is definitely important, it is not the only element that contributes to strong bones. There is a combination of multiple elements that are necessary for strong and healthy bones, including D3, K2, and Selenium. Having nutrients rich diet is vital in this case, but in addition to that, you must also add a dose of supplements as it helps you in maintaining a good bone health throughout your life. 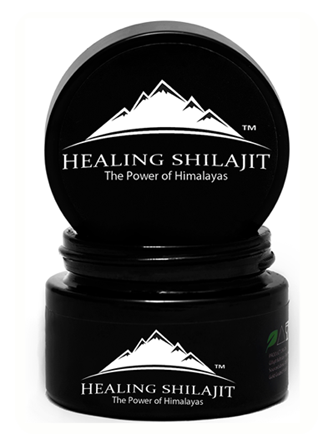 One of the best known supplements used for tissue regeneration is Himalayan Shilajit. It is a naturally extracted herbal medicine, which contains high quality minerals that cure the damaged tissues. Whether the damage is caused by illness, age factor or through injury, Himalayan Shilajit has proven to be very helpful in the healing process. The effectiveness of the supplement was initially recognized by Soviet scientists when they saw its effects in healing and regenerating damaged tissues in the bones. It contains minerals that are extremely beneficial for your bones, as they travel in your bloodstream and into your bone tissues, providing protection to your bone structure. It is a well-known drug in Ayurvedic medicine and was always considered vital in herbal science. It is basically a resin extracted from the mountain range of the Himalayas that are around 5000 meters high above the ground. In addition to safeguarding the structure of your bones, Himalayan Shilajit is also known for cartilage health, as it significantly helps in regenerating cartilage tissues. A clinical trial was held in order to observe its impact on the cartilage tissues and the results showed that Shilajit controlled group experienced a massive regeneration of the tissues as compared to the non-controlled group. 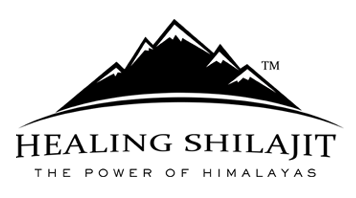 Humic acid and fulvic acid are two main elements in the Himalayan Shilajit that serve as catalysts in tissue regeneration. They speed up the healing process, because the re-generation of healthy structural tissues, bone tissues, and organ tissues is three to four times faster than a regular regeneration. Moreover, Dr. Adil Shakirov, an Indian scientist, further approved of its efficacy in building tissues. Both the minerals present in Himalayan Shilajit have the outstanding regenerative capacity, especially when combined with micro-minerals as these components are soluble in water, which enables them to pass through cell membranes and catalyze the healing process. Himalayan Shilajit is consumed differently in different cultures. Some people also take it with milk. They mix it in a glass of lukewarm milk. You can also do the same and speed up the healing process of your bones. However, bear in mind that the results are only visible after it is used consistently for 30 days. Therefore, make sure to add it as a part of your daily plan. All you need is to be patient with the results. Although, the progress is slow, yet it leaves a long lasting effect on your body and invigorates your health by strengthening your bone structure and improving the nourishment of organ tissues.